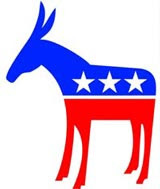 Organized in 1968, the Shelby Area Democratic Club meets generally on the third Thursday of each month at 7:00 pm in the Sutter Roush Room, 23 East Main Street, Shelby, Ohio. Our meetings are open to all area Democrats and persons of good will. Membership dues are $5 annually. 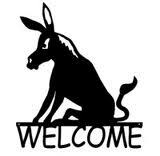 The members and officers of the Shelby Area Democratic Club welcome you to our website. And we welcome you to attend our monthly meetings. Our meetings usually begin with a speaker in an informal, conversational setting. We then have our monthly business meeting. All Democrats and people of goodwill are welcome to attend. Hon. Earle E. Wise, Jr. Please reserve the following seats at the Truman-Kennedy Society Breakfast. Chief Mike Thompson greets local Democrats. Democrats of all ages enjoyed the tour. The new firehouse has plenty of space. Chief Thompson answers Ted Nolen's question. Local Democrats diligently write Postcards To Voters for mailing to Wisconsin. 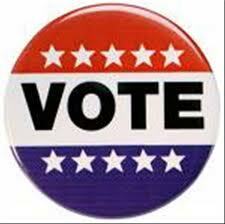 “Postcards to Voters” was on the agenda for the Shelby Area Democratic Club’s recent meeting. Members Amy and Sean Burns updated local Democrats about this national movement. “Postcards to Voters is driving Democrats to vote, making competitive districts,” stated Mr. Burns. He cited Doug Jones’ and Conor Lamb’s successful congressional races. The effort started in April 2017 when John Ossoff ran for Congress in a Georgia special election. In that race, 1200 volunteers wrote 51,000 postcards. Since then 59,000 volunteers – including those in Shelby and Richland County – have mailed over 4 million personal, handwritten postcards to Democrats in swing districts. After a brief business meeting, members got to work and wrote dozens of postcards on behalf of Judge Lisa Neubauer. She is a candidate for the Wisconsin Supreme Court on April 2nd. SHELBY – The Shelby Area Democratic Club recently met for the organization’s annual meeting, as required by the Ohio Revised Code and by the group’s constitution. Members unanimously elected president Garland Gates, vice president Ted Clabaugh, secretary Gail Eckstein, and treasurer Carol Kimmel. All officers will serve a one-year term. Members honored retiring secretary Rita Scheurer and treasurer Vickie Eichof for their many years of service with a reception. 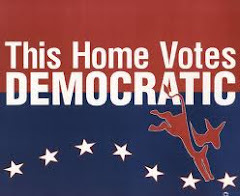 The first get together of the Shelby Democrats was held on July 11-1968. A picnic at Seltzer Park consisted of a covered dish furnished by each one attending. Thirty people enjoyed a discussion on the possibility of forming a Democratic club in the Shelby area. The first officers were elected in September of that year. They were president James Moorehead, first vice president L.D. Ball, second vice president Lonzie McKenzie, recording secretary Mary Stine, and treasurer Thomas Yetzer. Thanks to those local Democratic pioneers who laid a firm foundation for our club! We owe them a debt of gratitude for a job well done. ...we're proud to be Buckeyes! Click here for a map to the Sutter Roush Room. Paid for by the Shelby Area Democratic Club, Carol Kimmel, Treasurer, 38 Woodland Road, Shelby, OH 44875. Not paid for or authorized by any candidate or candidate's committee. Copyright (c) 2007-2019 Shelby Area Democratic Club. All rights reserved.